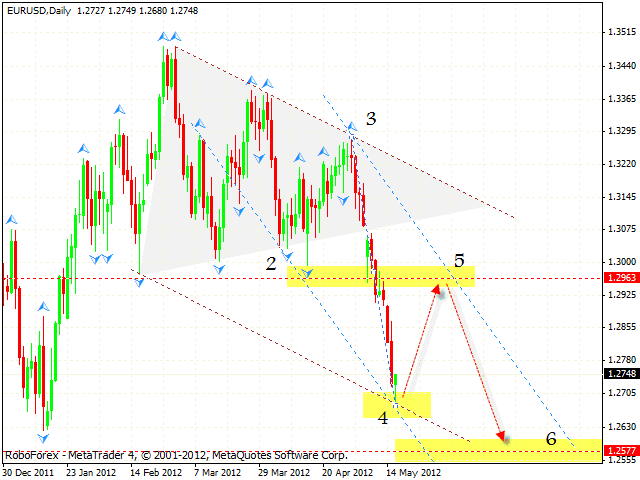 Although we expected the EUR/USD currency pair to start growing up, it continued moving downwards. We still don’t recommend selling the pair. By the moment the price has reached the first target of “triangle” pattern at the daily chart, it’s the descending channel’s lower border. We should expect the pair to rebound from the current levels in an upward direction. However, if the pair breaks the lower border, the descending trend will become stronger. Generally, the structure of the price movement implies that the price may fall down into the area of 1.25, but only after the correction from the current levels to the level of 1.30. It’s better to wait until the price forms reversal patterns at shorter time frames and then try to buy Euro with the tight stop. The GBP/USD currency pair has also fallen down a lot. However, here we also have a very strong support level. The test of the ascending channel’s lower border also implies that the pair may rebound from the current levels in an upward direction. Generally, the ascending structure at the daily chart has changed a bit, but there is still a possibility that Pound may start moving upwards. Here it’s also better to wait until the price forms reversal patterns and then try to buy the pair with the tight stop. The closest target of the growth is the area of 1.6255. The USD/CHF currency pair is testing the ascending channel’s upper border, we should expect it to rebound from the current levels in a downward direction. One can consider selling the pair only after the price forms reversal patterns at shorter time frames. 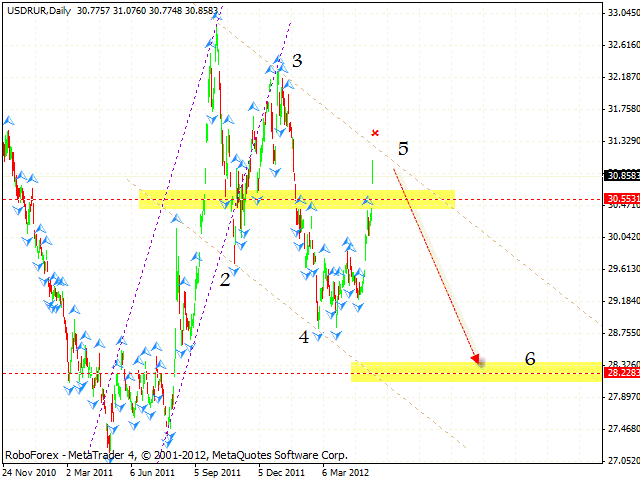 The target of the fall is the area of 0.9140, which is expected to be a starting point of a new ascending movement. One can either consider selling the pair aggressively with the tight stop or stay out of the market for a while. The USD/RUR currency pair is moving according to the forecast, the price has got very close to the descending channel’s upper border. 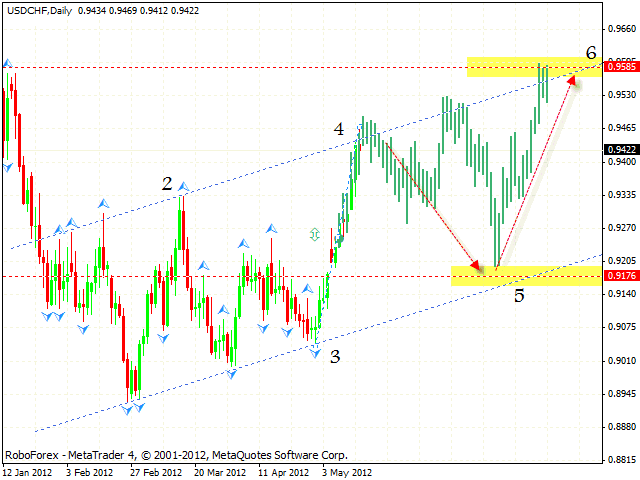 One can consider selling the pair from the current levels with the tight stop above 31.90. The target of the fall is the area of 28.20. If the price breaks the upper border and leaves the descending channel, this scenario will be cancelled. Canadian Dollar also continues growing up. 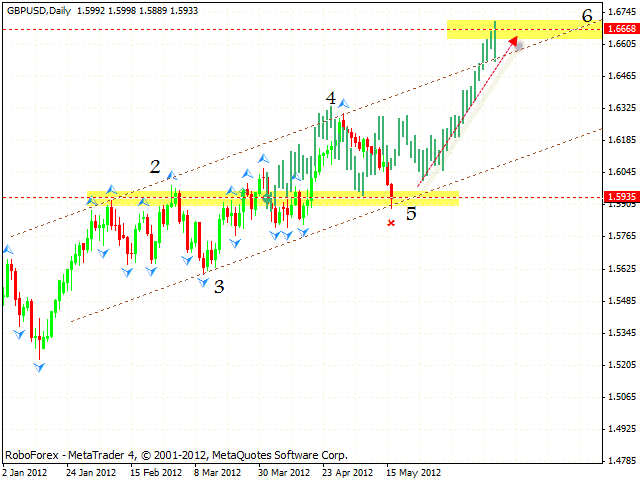 At the moment the price is forming the ascending pattern at the M30 chart, the target of the growth is the area 1.0150. 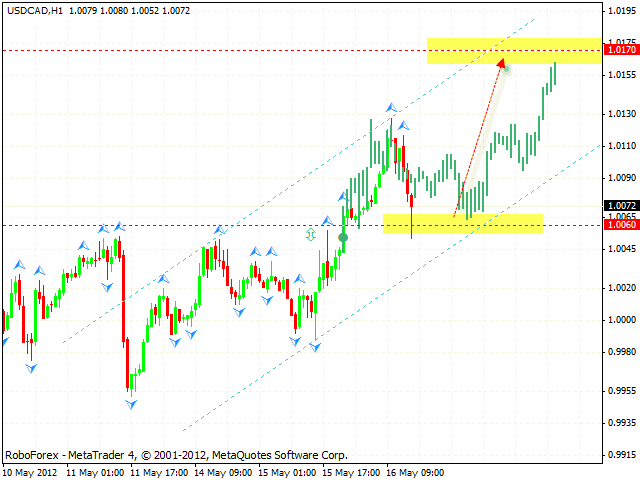 One can consider buying the pair after the price falls down and reaches the area of 1.0060. If the pair breaks the ascending channel’s lower border and falls down lower than 1.0020, this scenario will be cancelled.